Returning for her junior year at Hubbard High School, Giavanna Hosack is a second-year HUB staff member. She wants to continue writing in her senior years at Hubbard High School. Giavanna joined the HUB Staff because of her interest in and love for writing, so through this venue she hopes to showcase her writing abilities. She is interested in writing about boys’ and girls’ sporting events, with an emphasis on student interviews and team goals for the season. Giavanna is enrolled in multiple honor and CCP classes as well. 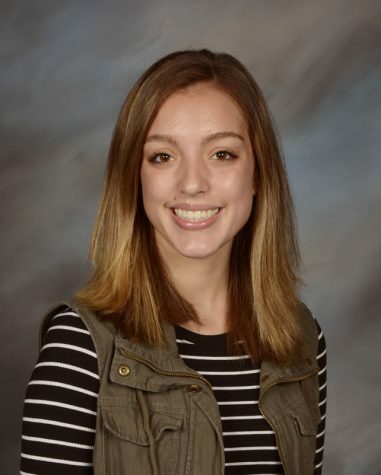 Hubbard High School gives her the opportunity to excel academically as well as to participate in extracurricular activities that she enjoys and loves. In addition to joining the HUB Staff, Giavanna is also a member of the school band, and the Ecology and Spanish Clubs. She also participated in athletics during her freshman, sophomore, and junior year, playing first base on the softball team and as well as in her travel ball team. Giavanna will continue playing softball in the spring to hopefully enhance her skills. Giavanna strives to earn exceptional grades, challenging her intellect at all levels and graduating with honors. After high school, she wants to continue her education at Kent State University to pursue her dream of becoming a neonatal nurse. Giavanna looks forward to writing and enlightening her fellow students with exciting articles that keep them both informed and entertained.